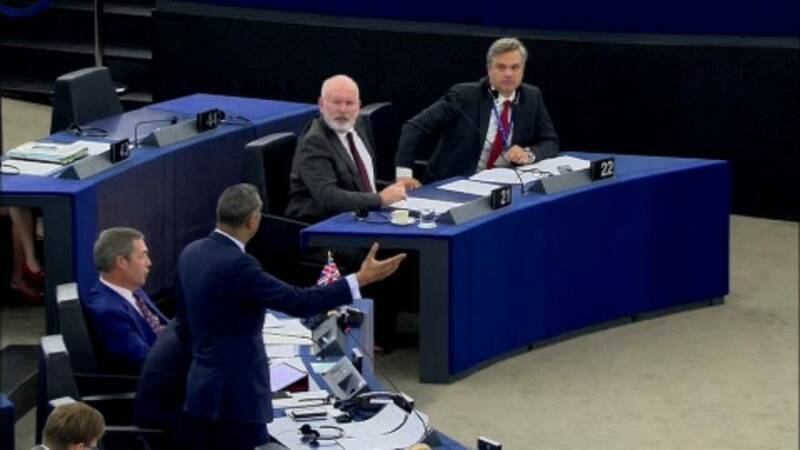 At the European Parliament a political debate descended into a slanging match when MEPs took turns to give History lessons. It began when British MEP Syed Kamall compared socialists to Nazis. "I would remind you when you talk about right wing extremists, we have to remember that Nazis were national socialists. It's a strain of socialism," he told the socialist leader in the European Parliament Udo Bullman. Kamall later apologised for his comparisons, but then another dispute arose when the Parliament president Antonio Tajani weighed in. "I do not think that anyone in this room is nostalgic about the Nazi or Soviet dictatorships or the horrific and devastating systems that have left deep wounds in Europe. Thank God these two dictatorships have been banished thanks to the European Union." But it was when UKIP MEPs began laughing that things became heated. "It's not a laughing matter. Laughter is the last refuge of the stupid," Tajani told UKIP MEP Nigel Farage. "To claim, Mr Tajani, that the European Union brought about the downfall of nazism and soviet communism isn't only laughable, it is very ungracious and deeply insulting to the United States of America," Farage replied. The Parliament in Strasbourg often sees such rhetorical clashes, but the recent history lessons from British politicians have soured debates. The recent case in point, was Britain's Foreign Secretary Jeremy Hunt's gaffe over comparing the EU to the Soviet Union.